Two Christmases ago I wanted to have the kids wear matching pajamas for our Christmas card photo. Kmart had some really cute pjs that were perfect, they coordinated and were in the right sizes. When I saw them I knew they were what I had wanted but my wallet didn’t cooperate so much. I debated putting those pjs on layaway and in the end decided not to. I thought I could come back in the next week and the cute sleepwear would still be there. I was so wrong! Someone else must have had the same photo session idea as me and those pjs were long gone. I never found pajamas that I liked as much as the ones at Kmart, too bad I didn’t just use their amazing layaway and save myself a headache. Check out the kmart layaway grid to compare stores at the bottom! Right now Kmart has free layaway with no service fees! Other stores like Walmart or ToysRus have fees but not Kmart. Cancellation fees do apply if you decide not to get your items. You will need to make a small down payment as well as weekly payments and this offer is only valid until 11/17/2012. This deal isn’t available at all Kmart stores but it is in most. There are some exclusions so see your local store for those details. Kmart is preparing for the holiday season and to coincide with this time they are launching the “Kmart's Big Layaway Giveaway”. There will be one layaway giveaway per store per week every week from 9/9/12 through 11/17/12*! Now is the time to place those holiday gifts on layaway and also get the chance to win some great prizes at Kmart. I sure do I hope that I will win the Big Layaway Giveaway! 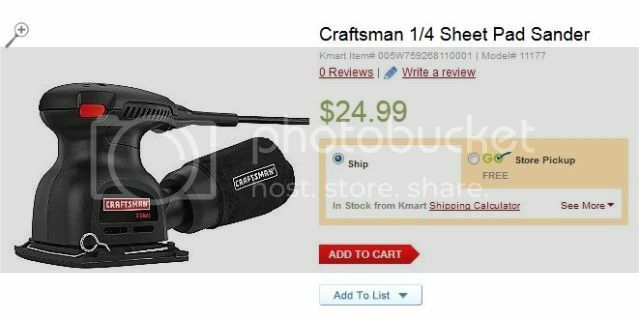 I hope I win, here are a couple items I want to put on layaway for the holidays from Kmart. * NO PURCHASE NECESSARY. Ends 11/17/12. For Official Rules, visit a participating Kmart location or www.kmart.com/layawaygiveaway.